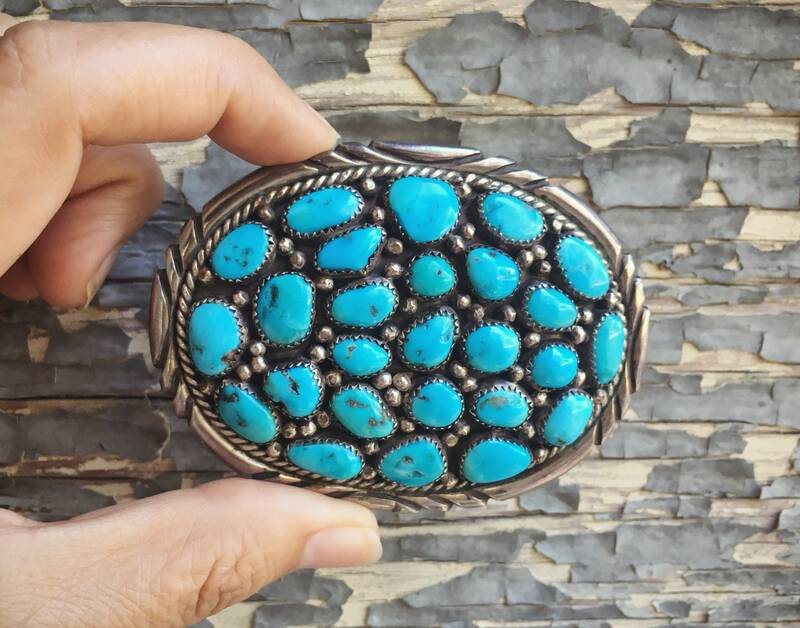 This amazing belt buckle was hand crafted by Navajo Silversmith Anita Whitegoat, who was known for this cluster design. 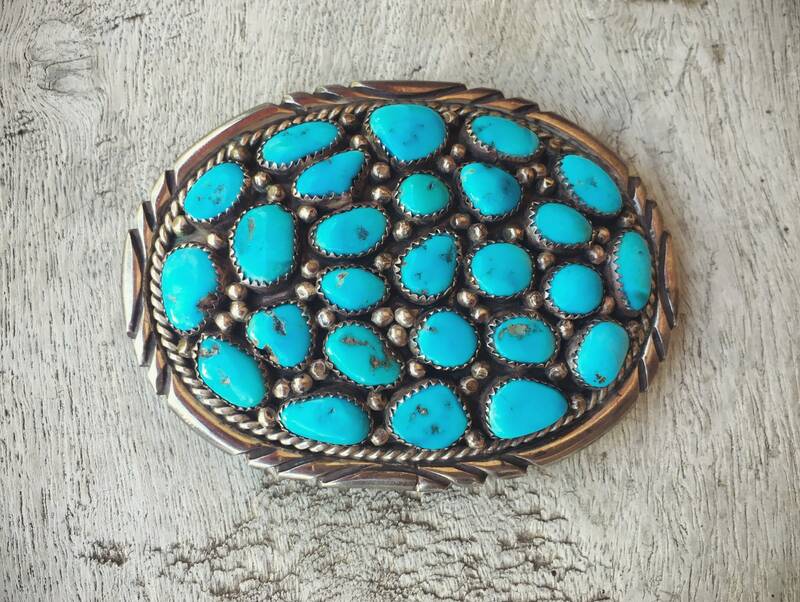 The turquoise is all natural and cream blue in color with bits of mother stone throughout most of the cabochons. Dotted in between are silver raindrops A great piece and size, perfect for male or female. 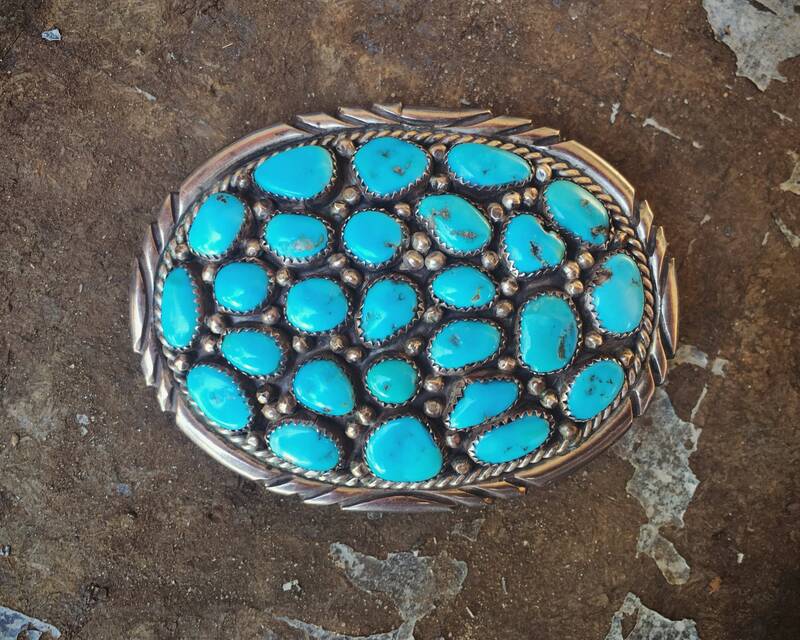 Has a rugged Western feel to it, and maybe that's because I recognize the style from the rodeos and state fairs I grew up attending and then took my daughters to (my oldest was in junior rodeo). 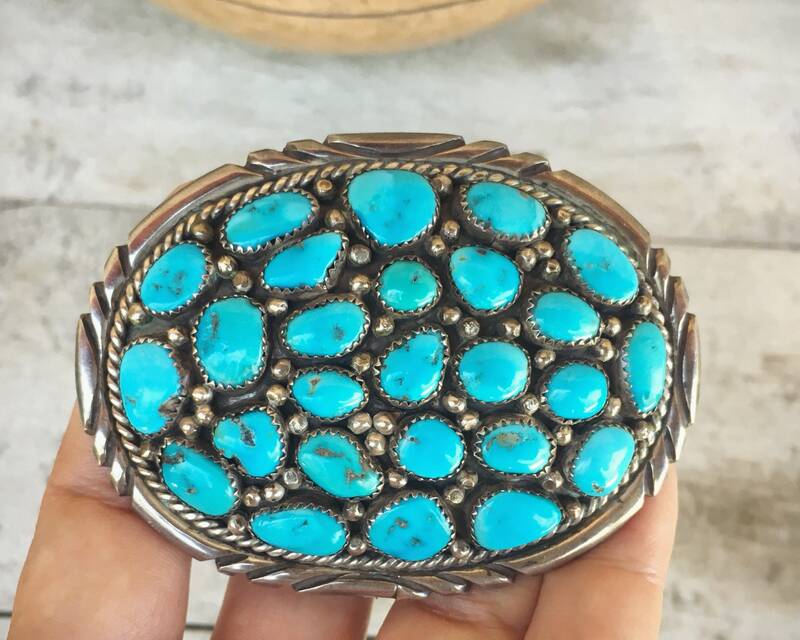 I just feel in love with the piece as soon as I saw that traditional design and that amazing turquoise--and so much of it! 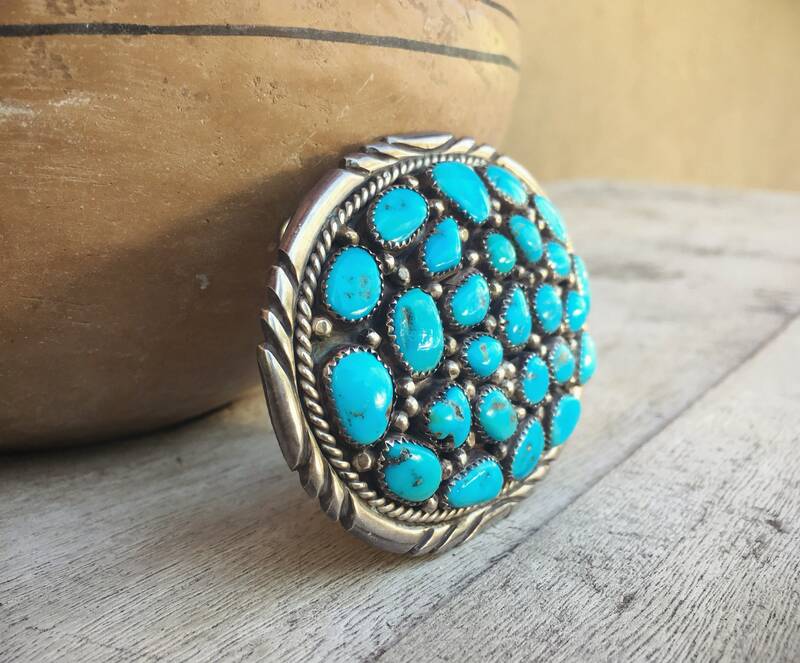 The buckle measures 3-1/4" wide by 2-1/2" tall, and the 26 cabochons of turquoise range in size from 1/4" around to 3/8" around, although keep in mind that each rock is organic in shape. 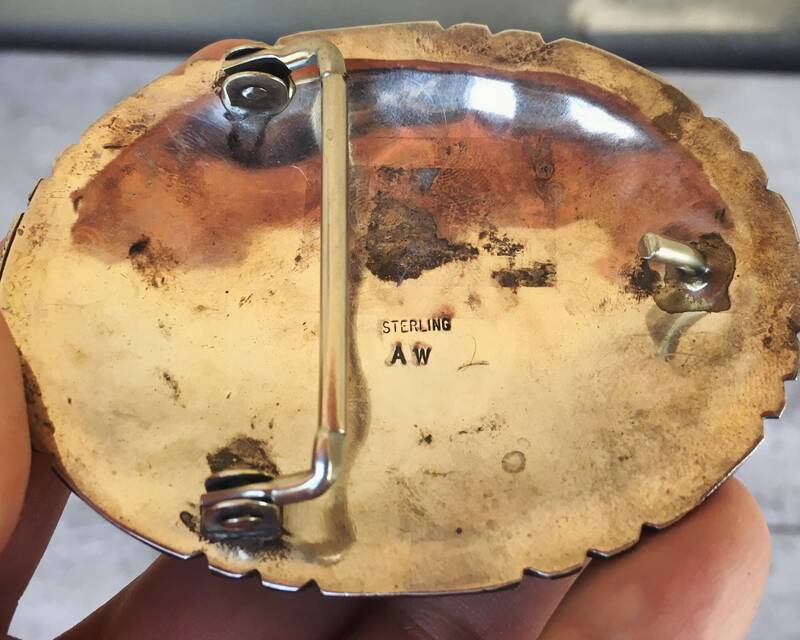 Carries the hallmark AW on the back, and a STERLING stamp. 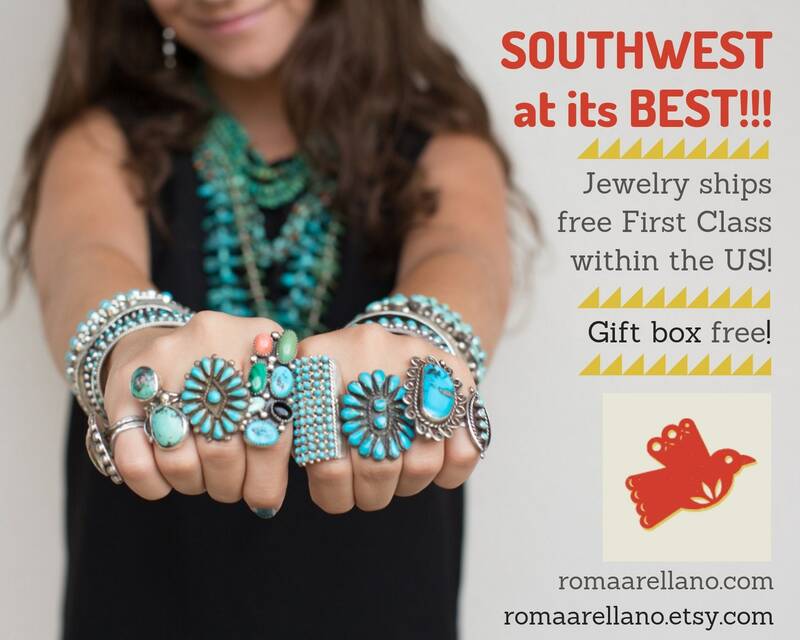 An heirloom treasure that you will wear everyday!